If you are looking for financing on your next deal you shouldn’t discount your local bank or mortgage broker. Even though traditional financing has received a bad rap in recent years it is still a viable option for the right borrower. The two main lending options are a local bank and a mortgage broker. While they both perform the same basic functions how they go about it is often much different. A local bank is confined to in house guidelines and programs while a broker has access to several lenders. There are pros and cons with using each that are based on your specific credit profile, available down payment and debt to income ratio. Deciding on who to work with can be tricky. Here are a few pros and cons of each to help with your decision. The most common starting point if you are seeking a loan is your local bank. It makes sense to reach out to the institution where your accounts are held. However you should also know what benefit they provide. Before you seek any type of financing you should have an idea of how strong your application is. You can get a pretty good idea by obtaining a copy of your credit report. In addition to your score you can see what liabilities are listed. By taking the minimum monthly payments for these liabilities and dividing them by your gross monthly income you have your debt to income ratio. This is one of the most important factors for loan approval. Where local banks have an advantage is by catering to borrowers that have a strong credit score, significant down payment and low debt to income. This is magnified if you are an existing account holder in that institution. It is not out of the question to find interest rates a half point lower than you would find with a mortgage broker with an excellent credit profile. 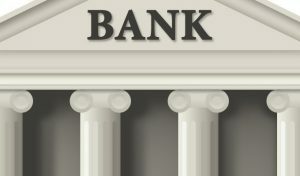 Where local banks falter is with any sort of application that is out of the box. Most local lenders have a strict set of guidelines and underwriting rules that must be followed. There is little margin for error or ability to make exceptions. If you are less than perfect in any one of a number of areas your application will be rejected. Another potential with this is the length of the transaction. A good number of local banks do not do their underwriting in house. If they do this is a major advantage and will expedite the process. However, most loans are shipped off where you are at the mercy of strict underwriting guidelines. Because of the red tape involved it is not uncommon to stretch the process out a few extra weeks, or more. A local bank is best served for “A” borrowers who know where they stand and are willing to wait a little longer to close. Many fingers were pointed at mortgage brokers when the market collapsed. Like any other profession there were a handful of good brokers coupled with a few bad apples. Fast forward almost ten years later and the industry has undergone sweeping changes. The biggest change deals with the requirements to hold a license. Not only are there local and national exams in order to get licensed but annual continuing education requirements. When you work with a mortgage broker today you should feel confident that they know what they are doing. The next major change deals with how fees are charged and disclosed. There is a cap on how much they can earn and a fee sheet required before you get too far in the process. If these fees change by more than just a few percentage points the loan is re-disclosed and subject to a mandatory three day wait to close. All of these changes were done with protection of the borrower in mind and have revitalized the industry. The biggest benefit that mortgage brokers offer is their ability to work with several different lenders at once. It is not uncommon for a broker to have a few dozen different banks they can work with at any time. Each of these lenders offers something a little different that can make the transaction appealing. Some take a higher percentage of rental income while others allow for self-employment less than two years. They work with lenders that can stretch guidelines where local banks can’t. This allows borrowers with slight credit dings a better chance at getting approved. Another benefit is that brokers work with lenders on the wholesale level. This affords them access to lower interest rates than what you may find locally. They also have the ability to offer interest rate credits that can reduce your bottom line needed at closing. The biggest knock on mortgage brokers is that they think they can close every deal that comes there way. By working on a deal that ends up falling out you run the risk of losing your deposit and missing out on the property. No two loan scenarios are exactly alike. What works for one borrower may not work for another. With an overzealous mortgage broker they may think they can do everything. This can end up costing you in the end if it doesn’t work out. A common misconception is that your credit score drops every time it is pulled. The reality is that you are allowed, and expected, to shop around when searching for a mortgage without lowering your score. By knowing everything you can before you get started, and asking a ton of questions, you can pick the best type of financing for you.